In the media hugger-mugger before the papal conclave began, most cardinals spoke of the need for reform. But they had in mind different kinds of reform: an evangelical reform that would focus on renewing the faith of all Catholics; a disciplinary reform that would tightly define Catholic identity, act against dissent and unify the Church against the 'secularist threat'; a structural reform that would address those aspects of governance and culture that contributed to the sexual abuse crisis and to alienation among Catholics. Pope Francis will address these proposals not simply as sociological challenges, but within a Catholic framework that developed in the face of the late medieval pressure for reform of the Church in its head and its members, culminating in the Reformation. In this understanding the Church has divine and human aspects. In its faith and essential structures the Church is simply a gift that is held in trust. It is unchangeable and holy, so that Catholics' access to God through its sacraments and teaching is guaranteed. But the Church is also a sociological reality composed of human beings and their structured and unstructured ways of relating. Human beings are sinful, and so the church needs constant reform. 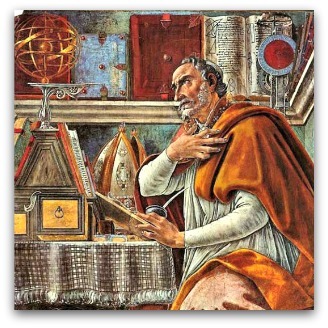 In weighing how Pope Francis may set reform within this understanding of the Church as both holy and sinful, Augustine's complex treatment of the holiness of the Church may be helpful. He argued that the Church would be holy in an unqualified sense only at the end of time. He said the Church is holy in the sense that Christ, who is the active power in its teaching, sacraments, governance and mission to the poor, is holy. But as a human reality, the Church is mixed: it comprises those who choose God above all things and those who choose other things before God. In that sense it is not holy. And finally he described the Church as a school for holiness. Through it Christ forms us to choose God above all things. From this perspective the priority in any reform will be to strengthen the hope of Catholics in the future transformation of the Church at the end of time, and their awareness of Christ's presence and activity of Christ within the teaching, sacraments and outreach of the Church. That is the context within which Pope Francis will situate structural and disciplinary reform. In the Catholic Churches of the Western world, at least, this hope and faith run counter to a prevailing culture, in which only what can be detected empirically is real, and our hope is confined to what takes place in our universe. So faith and hope need encouragement. Popes and bishops have instituted programs to encourage this kind of faith and hope. They have had varying degrees of success. The most effective seem to have focused on the depth of faith rather than on its content, have been led by lay people, and have touched relatively small groups. This argues for local reform initiatives that build diversity in the sense of being Catholic. There is no magic bullet. But there is a great need for encouragement. The mixture of good and evil in the Church invites realism. Catholics should expect that the relationships embodied in even given structures like the papacy, episcopal governance and in the life of congregations will be infected by the desire for power and control, resentment, pride, a sense of entitlement, and other signs of sinfulness. Reform will mean attending to these signs, changing the culture that breeds infection, and recognising that changes in structures are not ends in themselves. If the Catholic Church is to be a school for holiness it must reassure Catholics above all that it is a safe school — that its pupils will not be abused. In schools, this normally demands a change of culture to shift focus from reputation and power to the dignity, growth and empowerment of students. In the Catholic Church it will mean dealing decisively with the abuse of power by clergy in sexual and other areas at both Roman and local levels. Of the three proposals for reform — evangelical, disciplinary and structural — Pope Francis will certainly give priority to evangelical reform both of head and members because it is fundamental to other kinds of reform. He will preach the Gospel with its high understanding of human life and freedom. His simplicity of life will be a gift in this respect. But evangelical reform will rely on structural and disciplinary reform to encourage the initiative of local churches and to offer reassurance that the Catholic Church is a safe place of schooling for head and members. But a disciplinary reform that focuses on silencing debate and on making common cause against contemporary secularism would only discourage evangelical reform. If successful, it would turn Catholics' attention away from the hunk of four by two in their own eye to the splinter in the enemy's eye. Much as I admire and respect the main objectives of this reform proposal, and would recommend them to others, there is one serious flaw. The author perpetuates a belief in the division of clergy and laity that is one of the single most problematic facts about the structure of the Catholic Church. While the teachers are the clergy in this school and the laity are the pupils, we have a relationship in which one group of people assume a superiority towards the other, one in which one group needs to be taught something by the other group and will never grow up. The priesthood ought not to be about behaving as though you are a special group of people who are quietly but very effectively more important and knowledgeable than other Christians. This unfortunately is the impression that many lay people have of the clergy and is why they walk away. It is priesthood itself that has to be completely reformed, and this has to start by recognising that priests are human enough to have a sexuality: married clergy, women priests, and an abandonment of celibacy-by-law would normalise the Catholic Church and make it a witness to the Kingdom that was humanly credible. While we have a top-down structure that patronises its members and can only tell them what to do, rather than how to think creatively about the world and existence, then the school analogy is an ideal, but it won’t make for complete human beings. It will perpetuate the classroom relationship that most of us left behind by the time we were twenty. I ma in no doubt that the priesthood is a calling, but how it is managed has to change and there has to be a concerted return to Christ’s own teachings about the priesthood of all believers. An illuminating article, Andrew. Some within the Church would fear the modern secular world and the fact that Church institutions and their clergy are not automatically given the greatest respect because of the nature of the organisation. I think it not a bad thing that the Church - any Church - has to regain much respect due to the fallout from the worldwide paedophilia scandal. It would tend to discourage hubris which is a thoroughly good thing. From the Anglican Archdiocese of Brisbane to the Catholic Archdiocese of Boston - both having had serious problems in this regard exposed which had to be dealt with very openly and with the highest integrity by the next incumbent - the attitude of those fewer remaining in the pews has become far, far more critical. If the Church is a humbler organisation, which is more attuned to pitching its message to the whole world, rather than the select few declining card carrying and reasonably regularly attending members, it will be genuinely following in the footsteps of Christ himself, which is always difficult. The new Pope will need to put some real spiritual petrol in the tank. He will also need to ensure the vehicle is regularly well serviced. Pope Benedict has, I think, given an extraordinary lead here. He is, I believe, a far, far more significant figure than his predecessor. The American theologian George Weigel went so far as to say he felt Benedict may have been the most significant Pope since Gregory the Great. I think that could well be true. God willing, the new Pope will be the right man for the job. We need to pray for that. Hard. 'Habemus Papam': Cardinal Jorge Bergoglio SJ. Habemus Papam. Eureka Street is in the vanguard of Catholic media in Oz with timely and at times prescient coverage. Pope Francis the l, our first Jesuit Pope, while of Italian heritage, comes from Argentina and has the reputation as a modest man of the people. May his Pontificate have the zeal and success of St Ignatius for real reform in the Church on all levels. Perhaps Pope Francis 1 will achieve what so many Catholics have longed for. I am no longer one of them, but I did feel a frisson of the metaphysical as I watched a bird fly by the white smoke, having read that he chose to be called Francis. It is a huge burden to place on the seventy six year old shoulders of Pope Francis but here is the test. Can Ignatian spirituality, of which Cardinal Jorge Bergoglio seems to be the embodiment, impregnate the catholic church with justice and truth within its own ranks? And then can that re-Christened church spread truth, justice and love throughout the world? A small point. Cardinal Bergoglio will be Pope Francis. No ordinal number is required until there is a second Pope Francis. Quite an agenda for Pope Francis I, Andrew. My prayers for the new Pope. Well, highly predictable, a 'white man' got the gig and a South American who sounds vaguely Italian too, so, it's all back on course to continue just the same as before. Thank God for that. As for 'reform', what do people expect to happen in such a massive money spinning organisation full of secrecy, tradition, corruption and cliques? I think one needs look no further than Gorbie and his attempts to open his USSR front door an inch only to find once the drawbolts were pulled back, the masses tore the dorr off its hinges. They got 'reform' for sure, but now the country resembles a Corsican Mafia cell. Different but the same as before. If this 'new' Pope tries to reform, the whole tired edifice will crumble and fall, so corrupt is it now. But if he does not reform, it will crumble anyway, although not in the same manner as if he takes a Gorbie action. There may well be hordes of Africans filling the pews, and indeed probably even increased hordes from South America, now they have a star to follow, but just maybe the actual organisation of it all has reached its use-by-date and it's time to simply dismantle it? Perhaps, Andrew, the new pope will engender a new Reformation from the renaissance we all hope is coming and necessary. Those who currently demand their own human-centered desires will shift to the protestant churches headed by Anglicanism which already provide many of the reforms they demand such as married ministers, women ministers and now, by a government under the surveillance of the de facto Defender of the Faith,homosexual 'marriage'. Meanwhile the movement of erstwhile adherents to this reformed church gathers pace in its return to its origins, the true Apostolic Catholic Church, Maybe it will all balance out in the end and Christ's church will rise again and survive as He promised. Certainly the Pope's experience in ministry to the poor of a continent which despite its professed Catholicism is perhaps the most corrupt and Godless on this planet, will provide the sort of renaissance the Church really needs - a return to the teachings and life of Christ, the rejection of Mammon and the embrace of the downtrodden. Let's also hope that this spells the end of Eurocentrism and the rise of the extreme conservative rat-baggery that has dogged the implementation of the reforms that VatII promised. By Janice's own logic she should be over the moon that Francis has become Pope. If the Catholic Church will collapse whatever anyone does, which seems to be Janice's ideal outcome anyway, then what is she carrying on about? May I also add my voice to those who say he is not Francis I. Queen Elizabeth only became Elizabeth I in 1953. We don't talk about Pope Formosus I.
thank you Andrew; may we respond in hope to this day's election. Keep writing your gentle wisdom. A Franciscan name, and a Jesuit as well - a formidable combination for the reformation Fr Hamilton identifies. Deo gratias! Let us also hope, Janice Wallace, that in the new Pope you will finally find something in the Catholic Church of which you approve. The new man in Rome is called Frank Will he empty the Vatican Bank? And give to the poor Who cry at his door That would be a blessed prank! Would John Frawley be a Catholic? It is hard to comprehend how anyone else would seriously think that the Protestant churches are headed by Anglicanism. When John says “the movement of erstwhile adherents to this reformed church gathers pace in its return to its origins,” surely he is not referring to the small rather moody, disaffected and isolated group of Christians known as the Ordinariate. If he is then he’s going to be waiting a long time for change. While the Roman Catholic Church persists with the illusion that it is the only true Apostolic Catholic Church, the only way to access to God through Christ, then it is going to go on building social walls that stop everyone from knowing that the Gospel is available to everyone, whatever their personal opinion of the Bishop of Rome. They will go on talking to themselves and no one else, thus never learning anything. Pope Francis is claimed to be an ecumenist. That means he has to know how to talk not just to Anglicans but the Orthodox, the Copts, and all the other churches that left Rome to its own devices centuries ago. To do this properly requires real humility on all sides. Acknowleding that: "the relationships embodied in even given structures like the papacy, episcopal governance and in the life of congregations will be infected by the desire for power and control, resentment, pride, a sense of entitlement, and other signs of sinfulness." but then saying: "In its faith and essential structures the Church is simply a gift that is held in trust. It is unchangeable and holy" is a bit like trying to have your cake and eat it too, actually it sounds almost idolatorous. Have to agree with Janice about here about the best future for the CHurch. "If the Catholic Church is to be a school for holiness..." - my recollection of all those years at the hands of the Marist Brothers and local priests is that the Catholic Church was a school for hypocrisy, it seems to be still the same. Russell and Janice Wallace, kids say the darndest things, don’t they? When I was a child there was a particular retort we would fling to other kids after they sent off a judgmental slur: “What you say is what you are.” I didn’t realise how much truth that one saying contained until recently. People have no idea of the giant impact their choice of vocabulary has on their lives. The words to which we commit, shape and condition who we are, just as much as our thoughts and physical actions. It does not matter in what context or subject, as long as you use words that have limitations, you are limiting your state—and hence your success. Dear OPEN CONVERSATION. You are of course technically correct in that Protestantism is not headed by Anglicanism. I clearly have not expressed myself clearly. All prostestant churches are the fruits of protest or dissent against the Christian church that existed up until some 500 years ago. I think that is where the word 'protestant' comes from. Anglicanism, as you would know, was certainly the biggest single denomination (perhaps this position has been usurped by the union of other protestant churches in recent times?) And you are correct in that you point out that the Catholic Church does indeed consider itself the "One Holy Catholic and Apostolic Church", declared by Catholics in the creed recited at Mass. Thereafter, you and I part company. I do not believe, nor have I ever been taught, that being Catholic is the only path to God. It is a popular myth that this represents Catholic teaching. The Eastern Churches in all their divisions have always been authentic adherents to the gospels and sacramental in practice and liturgy unlike the protestant churches which abandoned a sacramental practice until this was resurrected in some over very recent times. (The English reformation undertaken by the catholic priests, Cranmer and Wolseley, abandoned four of the seven sacraments of the church in which they ministered, including ordination to priesthood, the eucharistic sacrament, forgiveness of sin and the anointing of the sick). Yes, OC I am a catholic but not an apologist for those things that are so very wrong in this church. I hope that this new pope will restore the "One Holy Catholic Church" to that place where there will be no place for protest and where those who have been alienated from that church will come home at last. The last pope made vast steps towards reconciliation between many of the churche including those you mention and I think this bloke is likely to do even better. Hopefully he will be above the petty self-seeking political ambitions in the establishment. Happy days, OC. All I can say is that I'm glad we now have a Jesuit on board to question the 'unaskable' questions. A social advocate? It's about time the Catholic church returns to its humanity. There might even be an epiphanic moment for Cardinal Pell. Thanks John Frawley for your response. That’s great. Of course, the word ‘catholic’ in the "One Holy Catholic and Apostolic Church" of the Creed is not about the Roman Church but about the church universal, an error easily made by Catholics who recite it their whole lives thinking it means just their church. If only someone would explain to Catholics the true meaning of the Greek word ‘Catholic’. Anglicans recite and sing the Nicene Creed every Sunday, as do the Orthodox and many other churches, because they are Catholic in the Nicene sense of the word. You are also seriously in error when saying that “Protestant churches abandoned a sacramental practice until this was resurrected in some over very recent times.” The two scriptural sacraments, Baptism and Eucharist, are at the centre of Anglican practice and have been since the 16th century, and before then depending on your definition of Anglican. If you open the Book of Common Prayer you will find a place for ordination to priesthood, the eucharistic sacrament, forgiveness of sin and ministrations to the sick and dying. All of these things are absolutely normative in Anglican history and liturgy, which is why so many Roman Catholics feel at home when they come over to the Anglican Church. All of this rides on whether you think the Anglican Church is Protestant or Catholic. It’s both, of course, which is essential to its character. The reason most Catholics don’t know about this is very simple: they were never taught that this is what goes on in the Anglican Church. This statement from the Anglican News Service is welcome and useful material for our conversation: "The Church universal needs Anglicans" - Pope Francis Posted On : March 14, 2013 10:13 AM | Posted By : Admin ACO ACNS: http://aco.org/acns/news.cfm/2013/3/14/ACNS5348 Related Categories: ACO - Ecumenical Global South America By ACNS staff The new Pope has reportedly said the Church universal needs Anglicans and that the Ordinariate is "quite unnecessary". In a note released after the election of the first ever pontiff from Latin America, the Anglican Bishop of Argentina and former Primate of the Anglican Church of the Southern Cone, the Rt Revd Greg Venables said Cardinal Jorge Bergoglio was "an inspired choice". "Many are asking me what is really like. He is much more of a Christian, Christ centered and Spirit filled, than a mere churchman. He believes the Bible as it is written. "I have been with him on many occasions and he always makes me sit next to him and invariably makes me take part and often do what he as Cardinal should have done. He is consistently humble and wise, outstandingly gifted yet a common man. He is no fool and speaks out very quietly yet clearly when necessary." Bp Venables added that in a conversation with Cardinal Bergoglio, now Pope Francis, the latter made it clear that he values the place of Anglicans in the Church universal. "He called me to have breakfast with him one morning and told me very clearly that the Ordinariate was quite unnecessary and that the Church needs us as Anglicans. The former Primate of the Anglican Communion's Iglesia Anglicana del Cono Sur de America added, "I consider this to be an inspired appointment not because he is a close and personal friend, but because of who he is In Christ. Pray for him." Dear Open Conversation. Thank you for taking the time to reply to my post above. I was taught the meaning of "Catholic" as a very young boy at school and understand that it has nothing to do with the 'Roman Church" a description born in the Reformation to distinguish it from the new 'English Church' headed by Henry VIII, who as you know considered himself "catholic " until the day he died. The concept of universality was certainly not on his agenda and in his immediate successors the policy of slaughtering priests and those who harboured them certainly gave testament to a certain exclusiveness or, if you like, lack of universality. My source regarding the suspension of the sacraments by Cranmer in the preparation of his first 'Book of Common Prayer" was the Reformation scholar,Culkin, in his book 'The English Reformation". It is true, I believe, that some catholic priests did accede to the demands of the new order that they might keep their heads and did continue a liturgy similar to that of the Church they abandoned (high church , I suppose). All others were persecuted for some 117 years including the famous English Jesuit martyrs. Apropos more modern liturgies in the prostetant churches there was certainly nothing that approximated the Catholic Church's liturgy in the Anglican Church that I knew and to which my wife was a close adherent. The Traditional Anglican Catholic movement with a liturgy indistinguishable from the Catholic Mass, began according to my reading at an Episcopalian conference in St Louis, USA, in 1977. Tank you for the conversation, OC. I have both enjoyed and learnt from it and you have stimulated me towards further reading in the hope that I don't become stuck in uninformed propaganda from the 'Roman Church" to which Catholics like me have never belonged. Have a good day, OC. It's one of the sad facts of the human condition that we have to be right! Maybe that's our original sin. What cost to us, each other. the world?